HR Kamins has worked in the visual arts industry her entire career. After obtaining a BFA degree, successes as an illustrator and graphic artist for several printing companies were followed by management positions including Creative Director for a Fortune 500 company. The artist then supplemented her educational studies at BU, Northeastern, and M.I.T., and by the early 1980’s became a pioneer in the computer graphics industry. She consulted for GE, Libby Owens Ford, Digital, and other companies and was hired to do international live computer graphics painting demos at trade conventions. In 1986, Kamins founded HR Graphics, Inc., that catered to the Boston area video and interactive videodisc production facilities, offering storyboarding, animation, and technical illustration. HR had the pleasure of working with numerous clients, producers, writers, editors and audio masters. 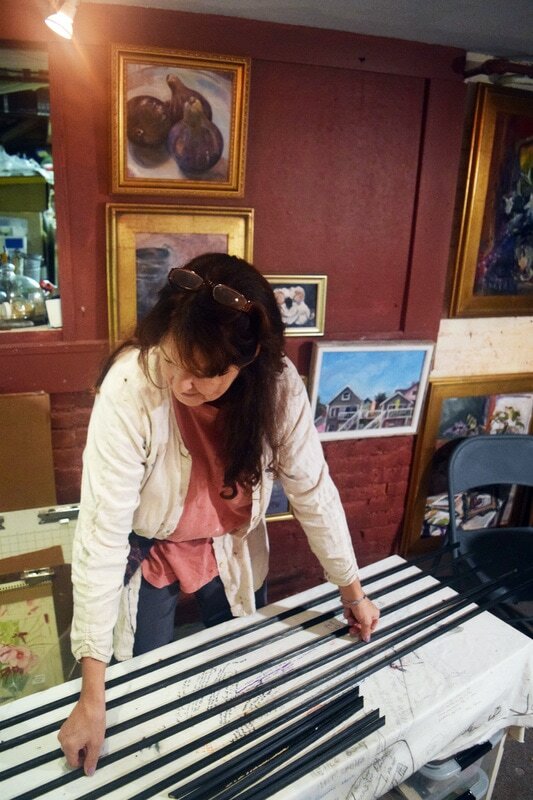 In 1996, she closed the business in order to focus on raising her two sons and to resume her fine arts interests.